Mike Wazowski! 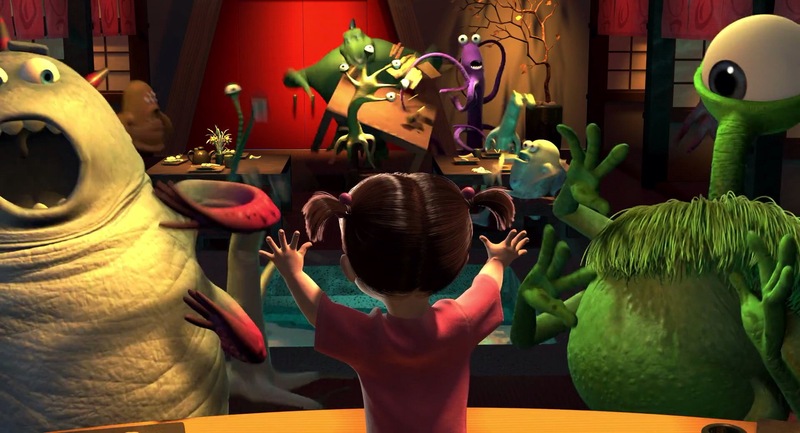 If you can hear that in your head, then you’re probably a Monster’s Inc. fan too. Or you’re hearing voices and should get that checked out. 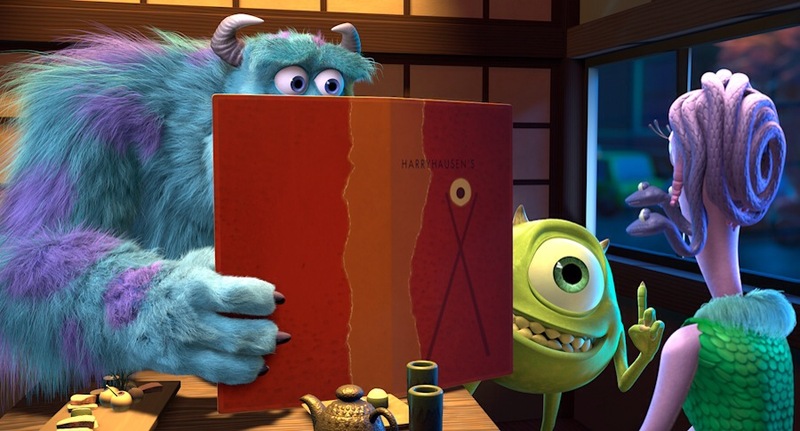 Monster’s Inc. is probably my favorite Pixar movie to date. 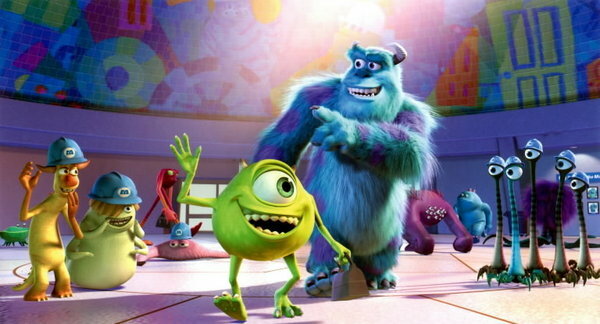 The story focuses on two friends, Mike and Sulley, who work at a factory together. Their jobs involve taking closet doors through to children’s rooms and scaring them at night. They then capture their screams, which is a power source for the monster world. The problem is that they believe humans are toxic to touch, so it is considered a dangerous job. When a little girl, Boo, follows them back through the door, the buddies are sent on an adventure while attempting to keep themselves safe and also send her back home. One of the best scenes is when Mike and his girlfriend are out on a sushi date. The restaurant soon turns into chaos when Boo pops up and scares all of the customers away. Images property of Disney Enterprises, Inc. This was my first time making sushi, and I could look at the beginning and final roll next to each other (I made a total of four) and see how fast my rolling skills had improved. I think the key is to have just enough filling, not too much or too little. 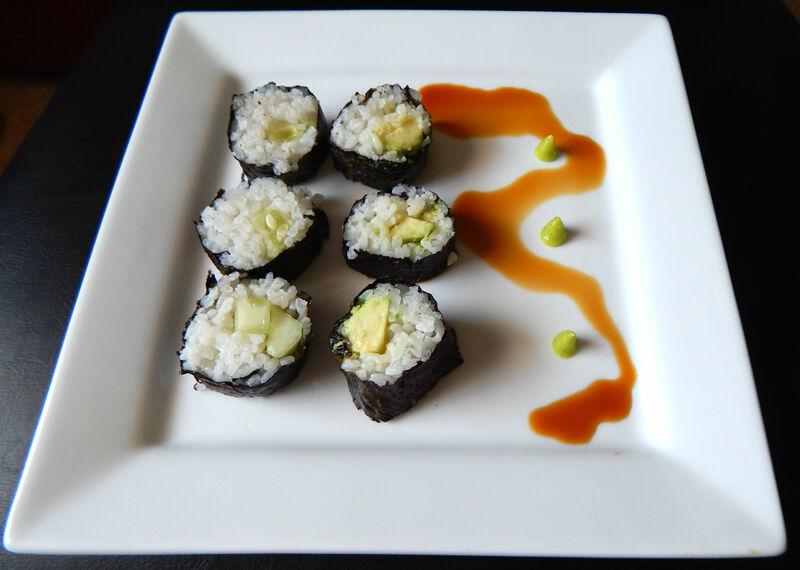 These rolls had avocado and cucumber in them and were served with soy sauce and wasabi. There’s definitely an art to sushi rolling isn’t there? I have only done it once before and mine came out all kinds of different shapes, hehe. Will have to give it another crack.